I went to The Rectory a few months ago (read my review here) and I wasn’t overly impressed but when my friends and I heard about their Alice in Wonderland theme night, we just couldn’t resist – plus, I always like to give places a second chance, just in case they’re having a bad day or, if I visit near when they opened, they’re having some teething problems. I loved the theme and I thought it was a really good fit for the venue. The pub has a mixture of older furniture and quirky decor so a topsy-turvy event seemed ideal. 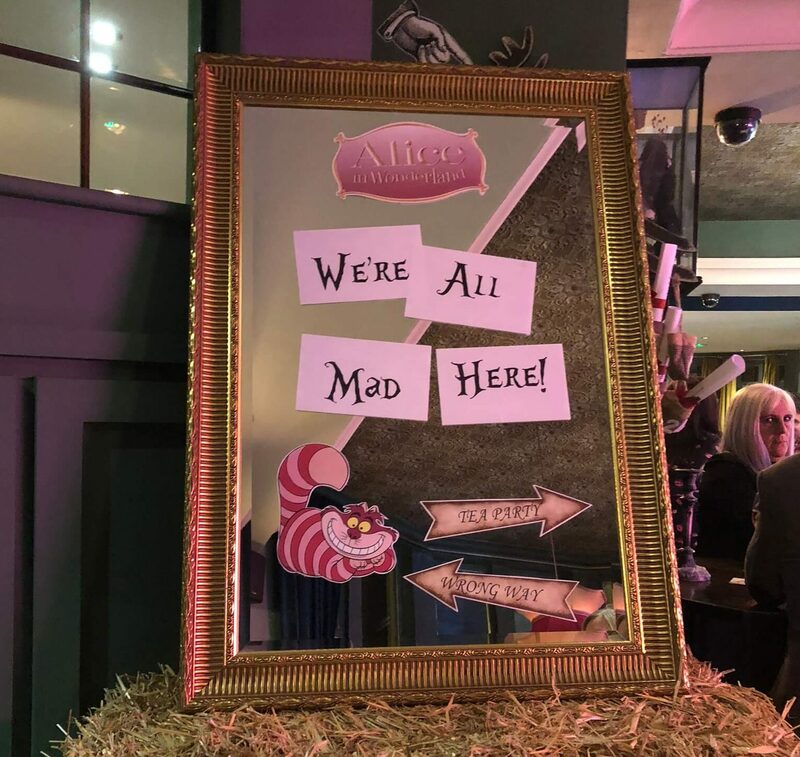 When we arrived there was a mirror greeting us with quotes from Alice in Wonderland on it, the staff were all dressed up as characters and there were playing cards dangling from the ceiling and on the tables, so they really committed to the theme which was nice. 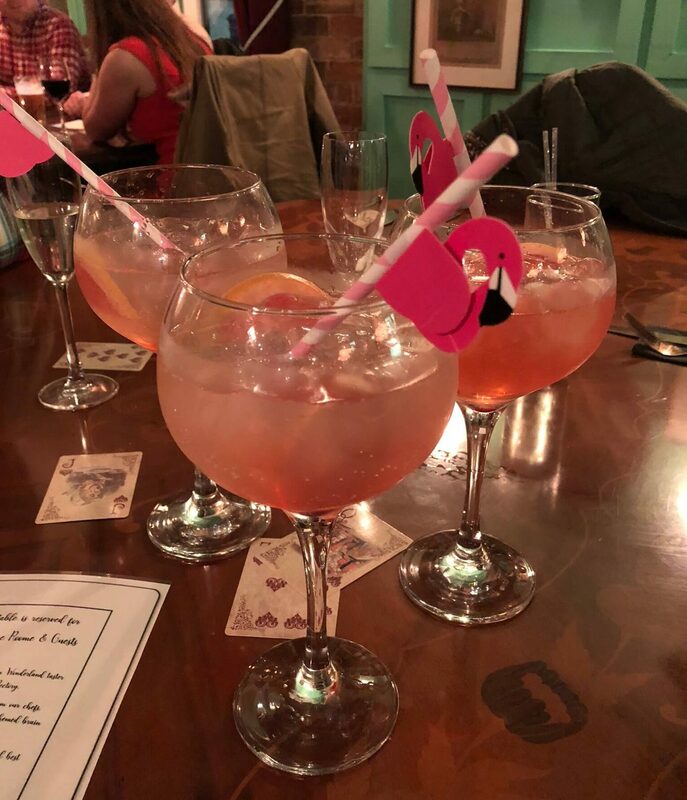 Incidentally, my friends and I did not commit to the theme – although I begged my bestie to wear her Alice in Wonderland costume from New Year’s Eve 10 years ago but for some reason she wouldn’t…! Now, the food. I loved the look of the menu as they had themed all the courses around the film so I was really excited to try and everything sounded really exciting and delicious. 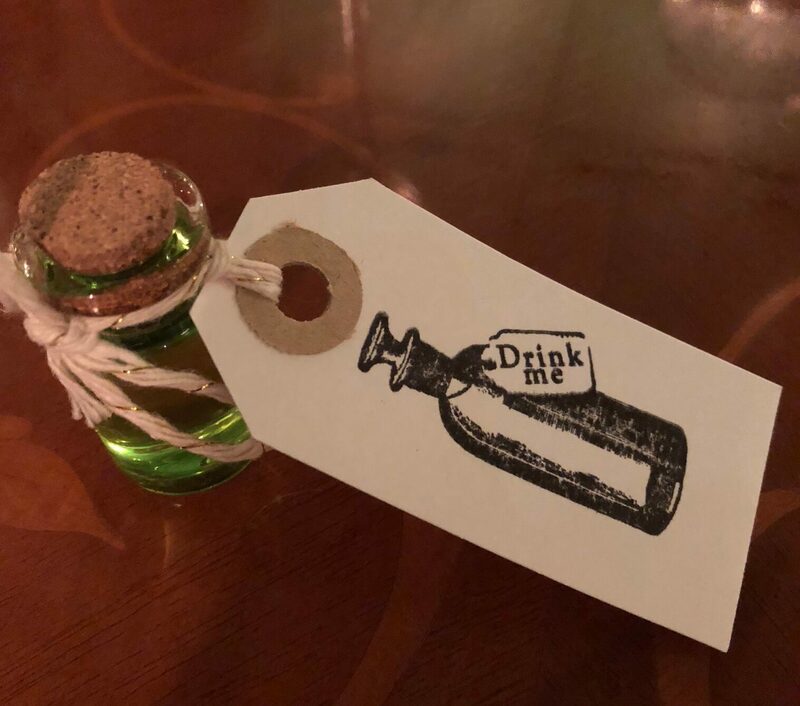 The first course was mock turtle soup which is a soup which was popular in the Victorian period as a cheaper imitation of green turtle soup and is also the name of a character in Alice in Wonderland. Well, just looking at the soup put me off straight away. 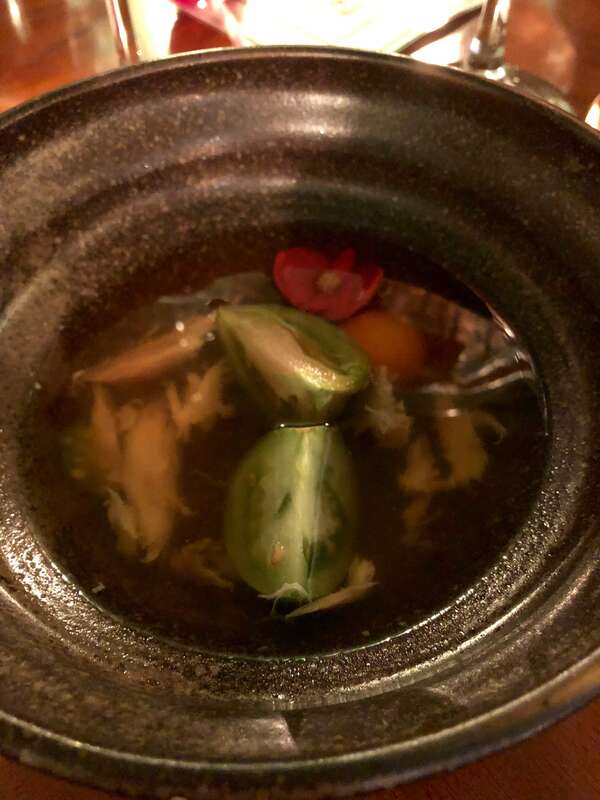 It was like a translucent liquid with bits of chicken, green and red tomatoes and an edible flower in it. It was also lukewarm (it was supposed to be) and after one or two mouthfuls I had to leave it. The main course was a little nicer. It was seabass cooked in prosecco with broccoli. There was a strange stringy vegetable with it which was basically inedible and the seabass had a slightly odd taste to it, but it was a lot better than the starter! Luckily the whole night was saved by the pudding. Like a classic afternoon tea there were jam tarts, scones, macarons and earl grey panacotta which were delicious. 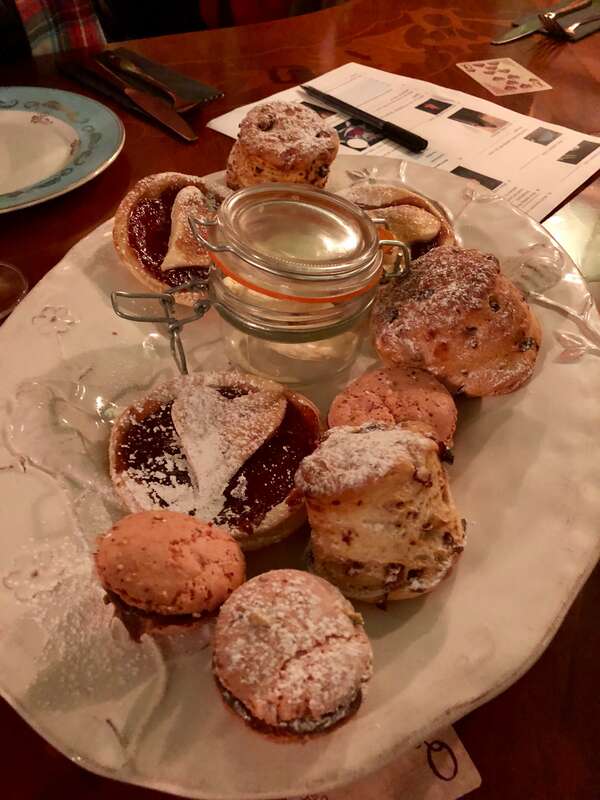 This was definitely the best part of the entire meal and I think it would have worked better as the Mad Hatter’s Tea Party with miniature sandwiches and cocktails served in teapots. There was also a quiz during dinner which was all about Alice in Wonderland and was a little challenging! I just wish I’d watched the film (any version!) before I went! On the plus side, the staff were really lovely (slightly different to my last experience!) and the cocktail we were served on arrival was delicious and slightly on the large side – winning! I don’t think I would choose to eat at The Rectory again, but I may pop in for a drink when I’m in Chesterfield. Find out more about The Rectory here.